Ichetucknee Springs State Park is a 2,241-acre (9.07 km2) Florida State Park and National Natural Landmark located four miles (6 km) northwest of Fort White off State Road 47 and State Road 238. It centers around the six mile (10 km) long Ichetucknee River, which flows through shaded hammocks and wetlands into the Santa Fe River. The park contains hardwood hammock and limestone outcrops. 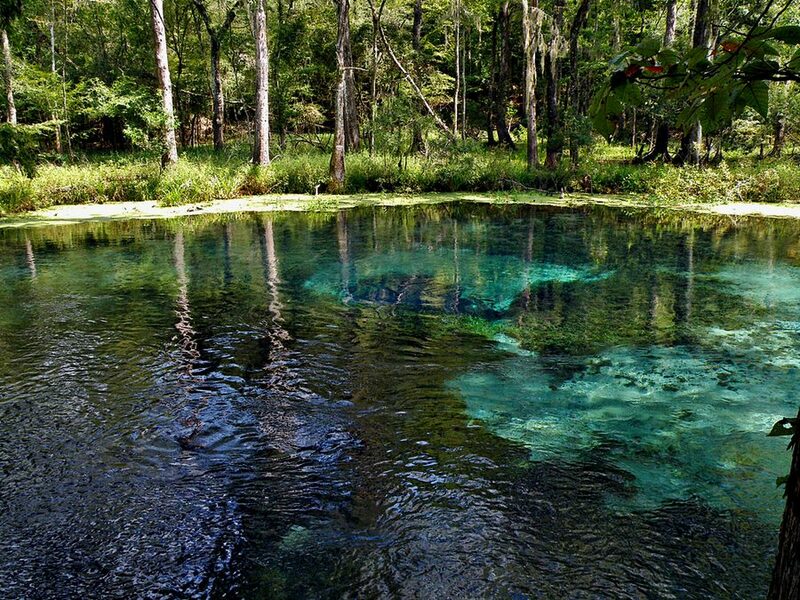 Like many rivers in this part of North Florida, the Ichetucknee is fed by natural springs which boil up (in various holes) from the aquifer.